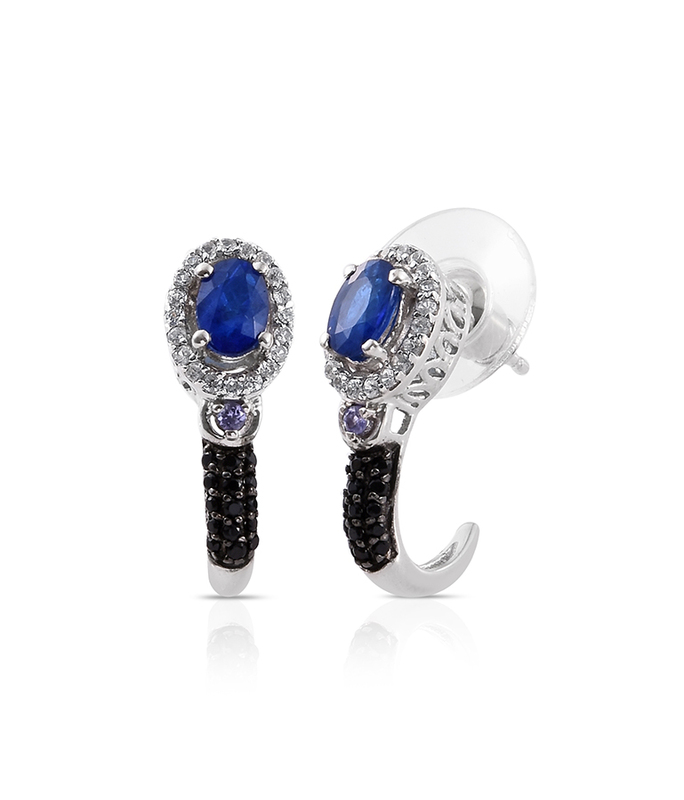 With a steely glint, blue spinel shines with a cool tranquility. Spinels have long been mistaken for other gemstones, especially rubies. For centuries, a lack of understanding resulted in these gemstones being classified as other kinds of stones. With modern gemological understanding, we can now appreciate spinels as unique jewels with their own exciting qualities. What Color is Blue Spinel? Before modern gemology, gems were primarily classified by color. For the most part, this meant spinels were identified incorrectly. 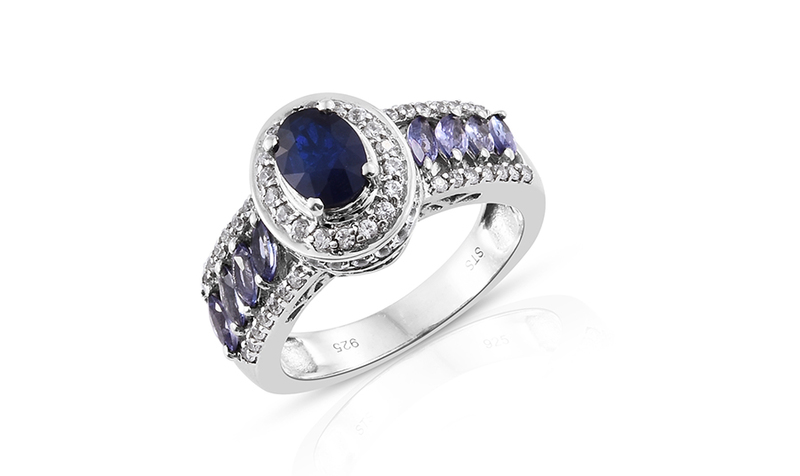 Blue spinel is a rich cobalt blue hue, rivaling some of the finest sapphires you’ll see. It’s a strongly desirable shade, infrequently seen at affordable rates in today’s market. Natural blue spinel is extremely rare, commanding some of the highest prices seen among spinel stones. To provide an affordable alternative, Shop LC offers spinel enhanced by a patent-pending diffusion process. It’s a new process, not widely seen in today’s market. Small amounts of cobalt are bonded to the surface of the gem, creating the rich and luxurious color we see. Only a single vendor currently offers stones treated this way, meaning opportunities to acquire supply are limited. Spinel is naturally included. However, due to the saturation of color through enhancement, blue spinel appears eye-clean. Heating during the enhancement process often removes or reduces many of the natural inclusions. Polished stones possess an appealing vitreous, or glassy, luster. Blue spinels at Shop LC are typically available in sizes of one carat or less. A range of shapes is available, including ovals, rounds, pears, and trilliants. Oval and octagon stones are available in sizes up to 7mm x 5mm, while smaller stones, like pears, are available as 4mm x 3mm stones. Spinel gems of several carats remain a rare find. 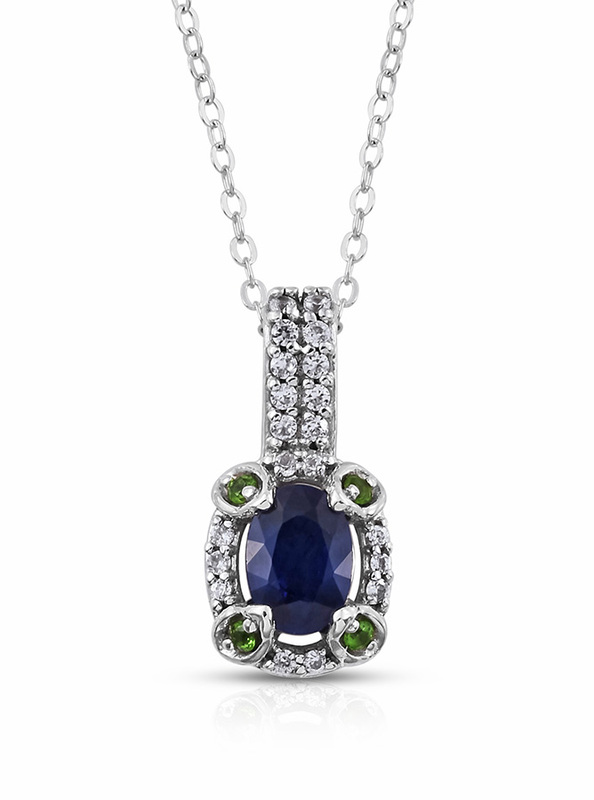 Who Should Wear Blue Spinel? For those who love the deep blue color of stones such as Masoala sapphire and Himalayan kyanite, blue spinel is an excellent addition to your collection. Similar in color to these stones, it’s a unique opportunity to own a gemstone rarely seen in this color variety. 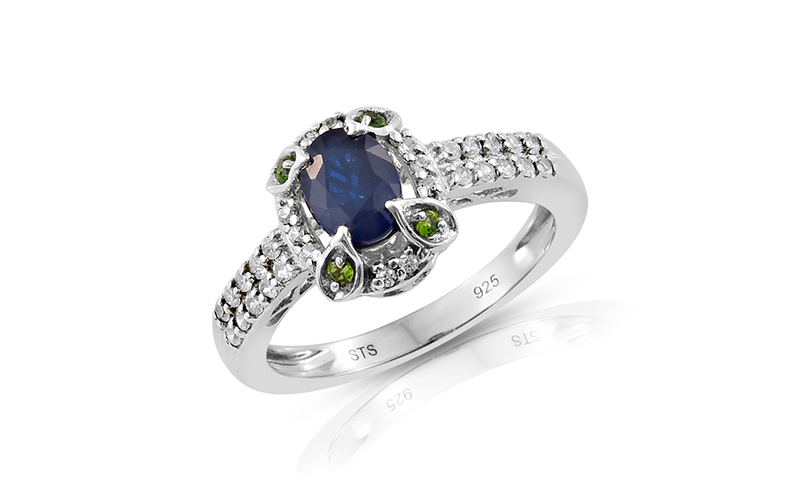 Is Blue Spinel a Birthstone? • Spinel is a recent addition to the modern birthstone list. Added in 2016, spinel joins peridot as one of two August birthstones. Occurring mostly as red gemstones, blue spinel presents a rarely seen option in selecting your birthstone. • Spinel is also the traditional gift for the 22nd wedding anniversary. Spinels are found throughout the world, most famously from Myanmar (Burma). The blue spinel from Shop LC is sourced from Tanzania. Found in the Merelani Foothills, at the base of Mount Kilimanjaro, blue spinel comes from the same region as world-famous tanzanite. Finding naturally occurring blue spinel is rare. Enhancement is required to provide this stone at the affordable rates Shop LC offers. Only one vendor currently offers spinel treated this way. A patent-pending proprietary method, little is known about the process. The stones selected are perfectly sound, but they may not have matches for use in jewelry otherwise. These gems undergo standard polishing, before receiving a special coating. Next, they’ll be heated in a crucible. Once cooled, the stones will bear the distinctive cobalt color that’s desired. After cooling, stones may receive a final polish. Specialized equipment is required to detect this treatment method without damaging the stone. Notably, the color zoning present on other diffused gemstones is rarely detectable in this enhanced blue spinel. Ranks 7.5 to 8.0 on the Mohs scale of hardness. Blue spinel possesses a deeply saturated blue hue, very rare in spinels. 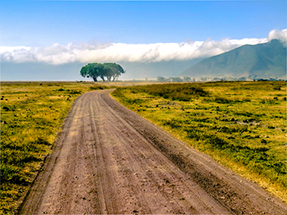 The Shop LC supply originates from Tanzania. Blue spinel receives additional enhancement through cobalt diffusion.